*Disclaimer: This article was not meant to express views of the author, but to highlight the recent events and conversation on gun violence. On February 14th, the United States faced one of its’ deadliest mass school shootings in history at Marjory Stoneman Douglas High School in Parkland, Florida when nineteen-year-old Nicholas Cruz, brought a gun to school and shot and killed 17 people. The tragic phenomenon brought attention to the debate on gun reform and the support for stricter gun laws. Since then, Florida has taken steps to alter their gun laws. 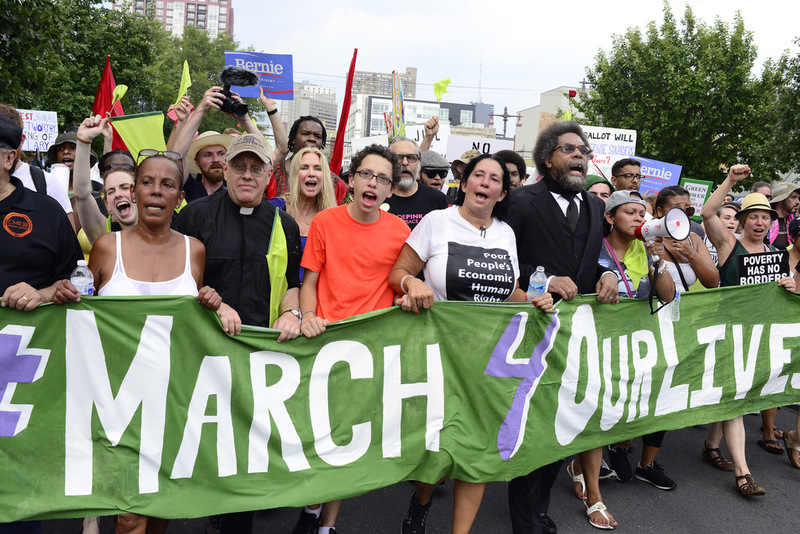 Student-led movements have been taking place all across the country. Emma Gonzalez, one of the mass shooting survivors of the Parkland tragedy, stunned Americans with her silence, to demonstrate how long it took for the shooter to fire the shots. 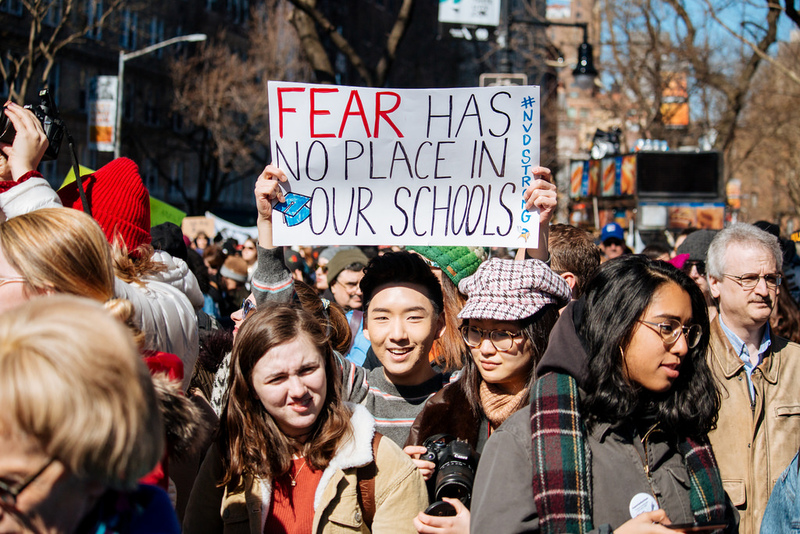 Along with the help of Gonzalez and her fellow high schoolmates from Marjory Stoneman Douglas, the ‘March for Our Lives’ movement has occurred across the country to enable change and attention to be brought to gun control laws. From California to Lancaster, students and many other members of the public made the effort to be part of this moment. A group of Messiah students made the decision to take part in this historic moment in Lancaster. According to Samantha Rockhill, a junior politics major, a rabbi opened with prayer and a priest did the closing prayer. “The keynote speakers included a Latino gay Christian who survived the Orlando shooting, a young black girl who talked about police brutality and gang violence, someone speaking on how guns contribute to suicide,” Rockhill said. Hearing stories from first responders of the Parkland shooting brought Fong to tears. “These are lives we are fighting for,” Fong said. Angel Colon, the keynote speaker was a survivor of the Orlando mass shooting. He spoke about his experience playing dead when the shooter was present. Even when Colon tried to play dead, he was still shot, and his story was emotionally thought provoking for Rockhill. “He had a cane, and we don’t know if he will ever walk again,” Rockhill said. While the ‘March for Our Lives proved to be a popular movement, there were also controversies and doubts about the student-led protests. Dakota Schmalz, a senior biology major, expressed that there were actions that could have prevented the shooting at Marjory Stoneman Douglas. He said the problem was the police who knew about the constant threats made by the shooter, chose to not take any action. Schmalz refers to a “more effective” reaction towards the mass shooting in Parkland by Kyle Kashuv, school shooting survivor and supporter of the Second Amendment. “After the shooting, he teamed up with the legislators in Florida and they came up with the ‘Stop School Violence Act,’” Schmalz said. “The act would establish a bridge between the schools and the FBI.” While he states that protesting is necessary when the situation calls for it, Schmalz expresses doubt about the effectiveness of the ‘March for Our Lives’ movement. Likewise, Daniel Miley, a junior criminal justice major, expresses his concern for how the immense support for gun reform may lead to the repeal of the Second Amendment. “I find it difficult to agree with any form of additional gun control outside of stricter background checks and high capacity magazine regulations,” Miley said. He prefers to see those reforms implemented than see the abolishment on the Second Amendment. Rockhill strongly recommends voter registration and calling your legislators if you are interested in making a change in another way than through protesting. “We have more power than we think we do, as voters and consumers, in making a change,” Rockhill said.